Acolytes (or altar servers) attend to the altar at Mass and other liturgies. Formerly a “minor order,” at St. Francis de Sales and most parishes, their duties have now been taken up by the laity. Their essential function is to provide a worshipful atmosphere by assisting the Celebrant throughout the order of service. They process in and out with the Celebrant, light candles, carry incense and the crucifix, help with the altar linens, cruets, chalice, and paten, and aid in the smooth progression of the Mass. Membership is open to all ages, male and female. 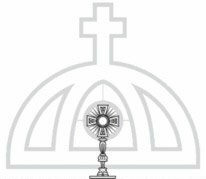 Members must be baptized Catholics having received their first communion, and believe in the Real Presence of our Lord in the Eucharist. 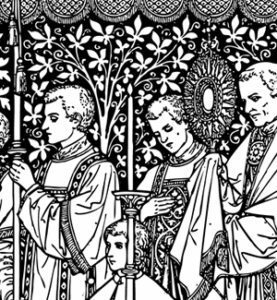 Acolytes are appointed by the pastor and undergo training, held twice a year, and often attend “rehearsals” for more complex or solemn liturgical functions. If you would like to join (or know someone who does) and become an acolyte, please e-mail the sacristan.